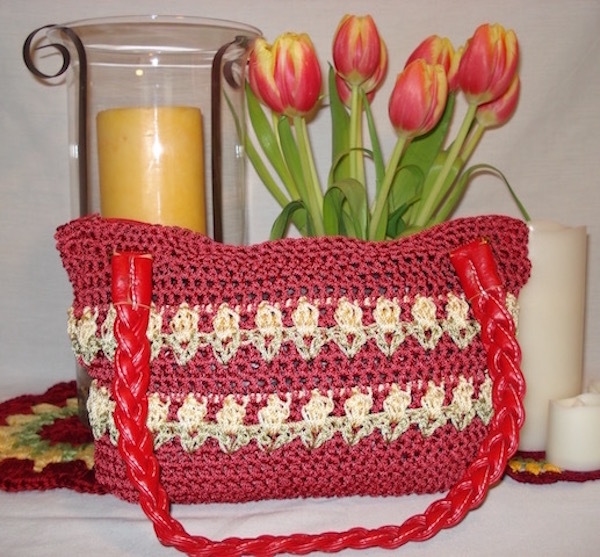 I am loving Pinterest for gathering great gift ideas! And what’s even better, if your friends and family are on Pinterest too, you can troll through their latest pins and get ideas for what kinds of homemade, crafty items appeal to them. 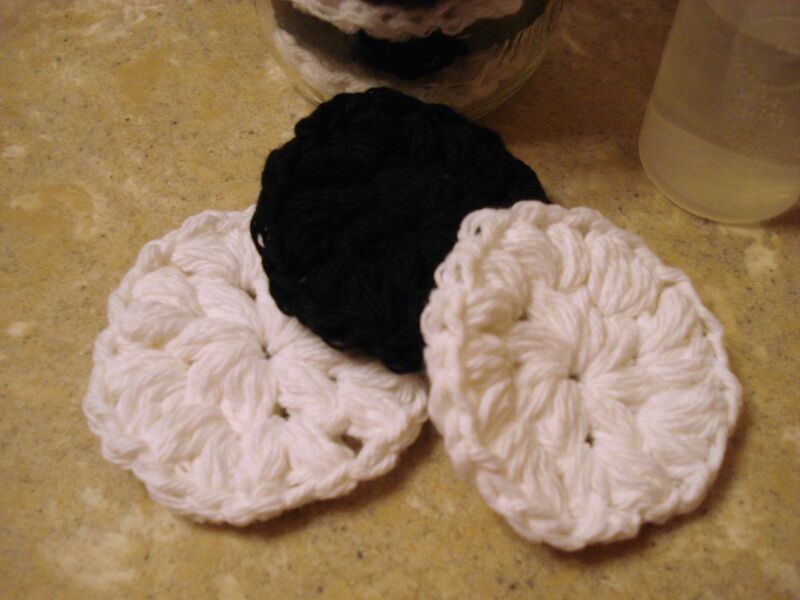 That’s how I got the idea to make these reusable cotton face scrubbies for my sister. Sis pinned a link from “My Sweet Somethings” blog which you can read here. 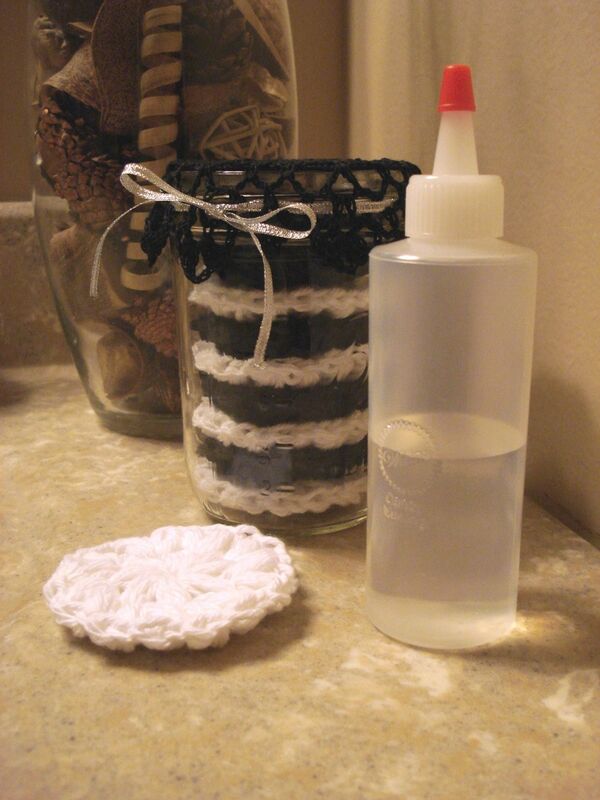 Ashley Kaye, the author of this brilliant post, came up with an amazingly simple and terrifically useful pattern for reusable cotton pads that you can use to remove makeup, apply astringent, or cleanse your face. 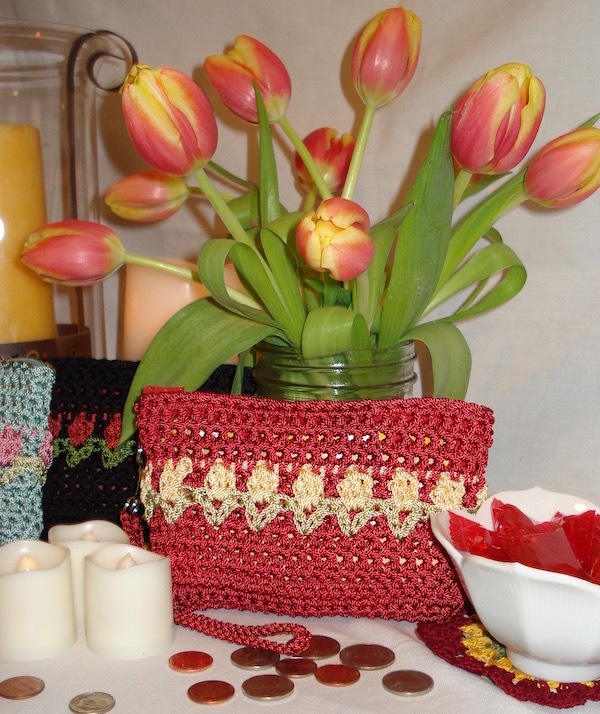 They are easy to make, and took me less than 5 minutes each to crochet, and they are washable and reusable–very green! 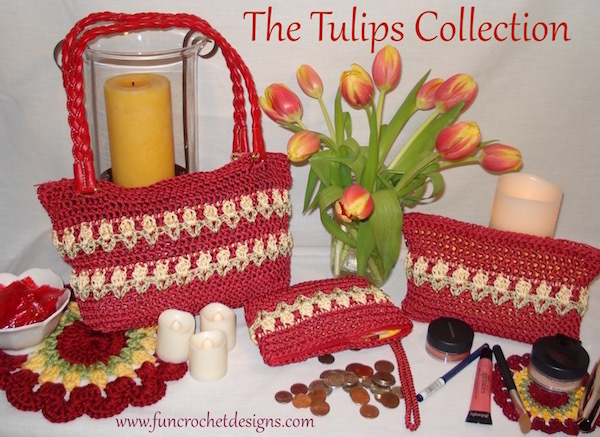 I encourage you to visit her blog post and check it out! 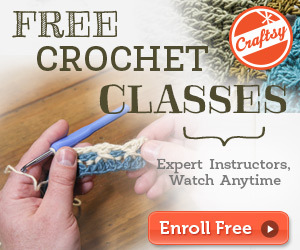 When I had a batch of these scrubbies crocheted, I started looking for a way to present them in style. Hunting through my cupboards, I found a wide mouth pint canning jar that looked about the same diameter as the pads. A quick test and sure enough, I had found what I needed. Next I needed a way to cap off the jar. 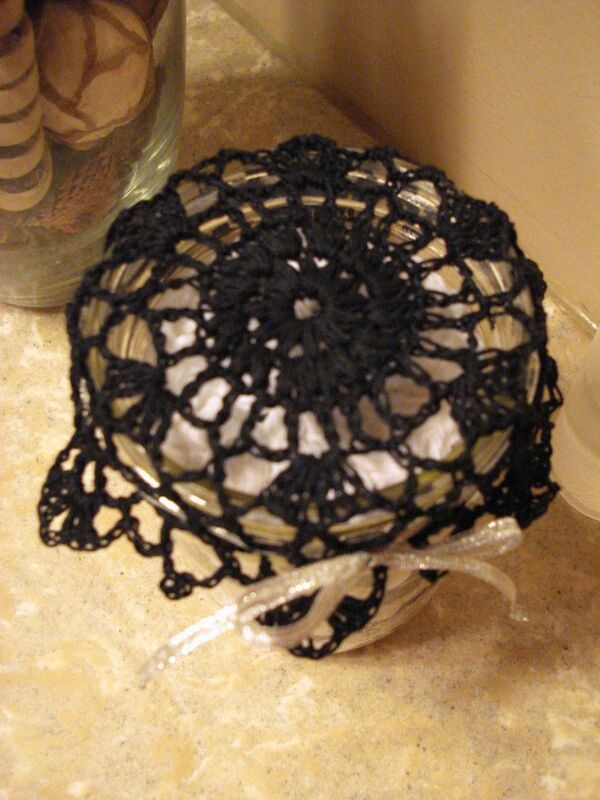 I grabbed some black #10 crochet cotton thread from my stash and whipped up a mini doily. 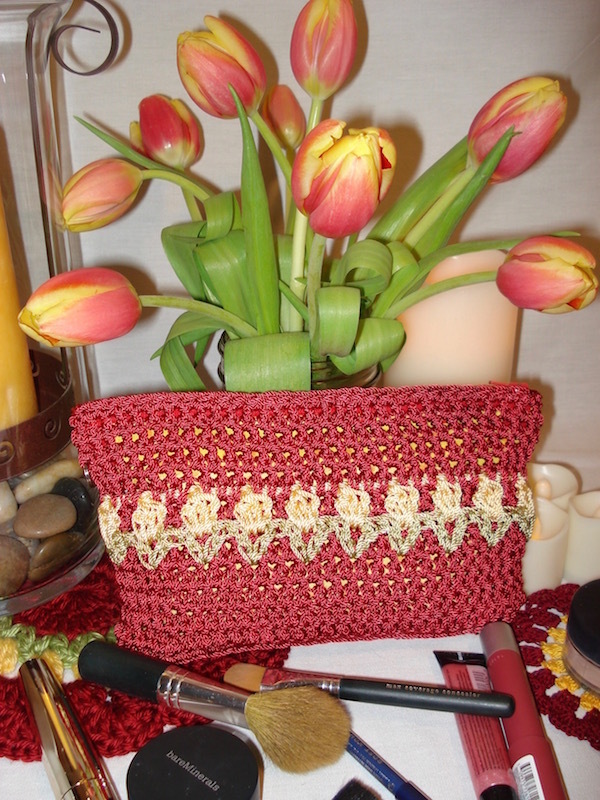 A pretty silver ribbon weaving through the stitches secures the doily to the rim of the jar. I think it adds a feminine touch. Won’t this look pretty sitting on her bathroom counter? I hope so. Either that or she’ll tell me to quit stalking her on Pinterest. LOL. 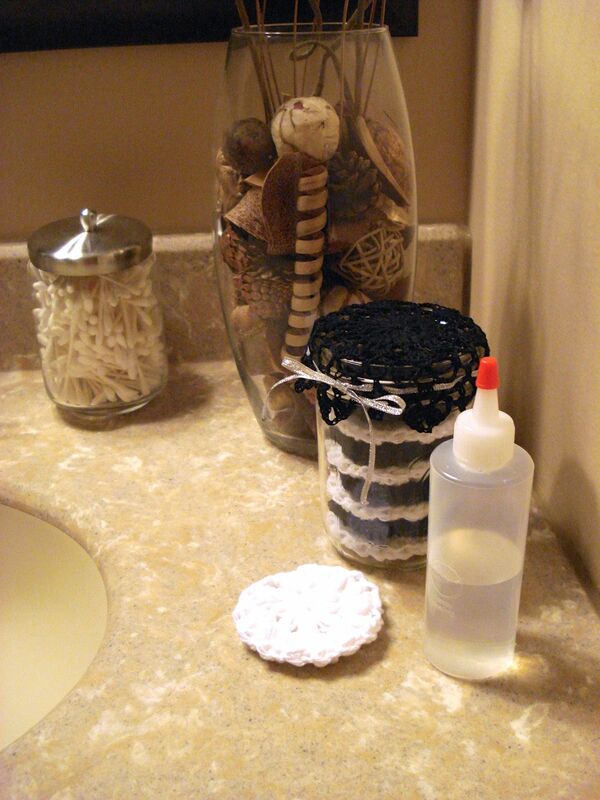 Maybe you are noticing the squeeze bottle beside the jar of makeup pads … I can explain. The perfect accompaniment to these cotton face scrubbies is a recipe for homemade makeup remover, made from all natural ingredients. DIY & Crafts shares a blog post about how to make your own makeup remover from just three easy ingredients. I am sensitive to scents and dyes and have been trying to cut unnecessary chemicals from my routine wherever possible. This recipe really appeals to me. I am definitely trying this recipe myself, and sending a batch to my sister who is usually game to try a homemade potion. So that was my “green” Christmas gift. Did you make any of your gifts this year? Share and inspire us! I’m already planning for next year. 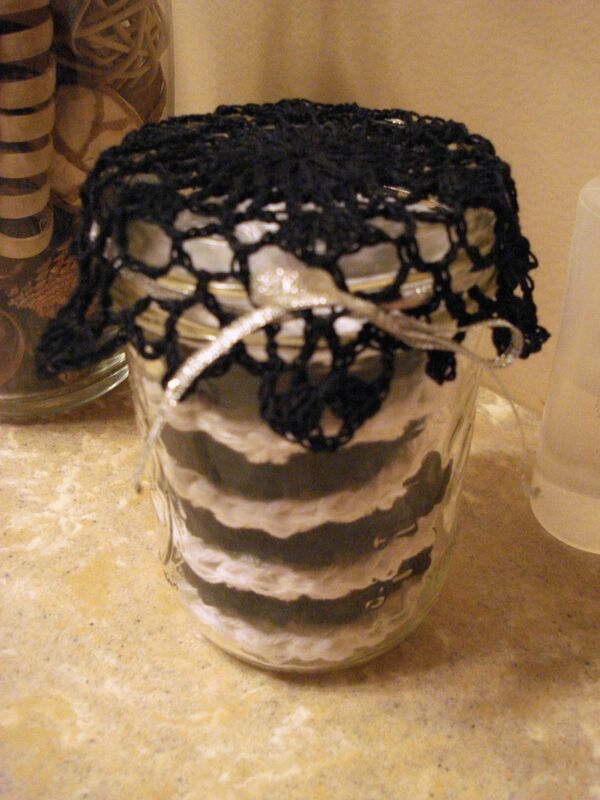 UPDATE: I made some cotton scrubbies for myself and also a batch of makeup remover. I love them both! The makeup remover works great. It takes my makeup right off and doesn’t dry me out or irritate my skin. The cotton scrubbies are just the right size for the job. Recommend!